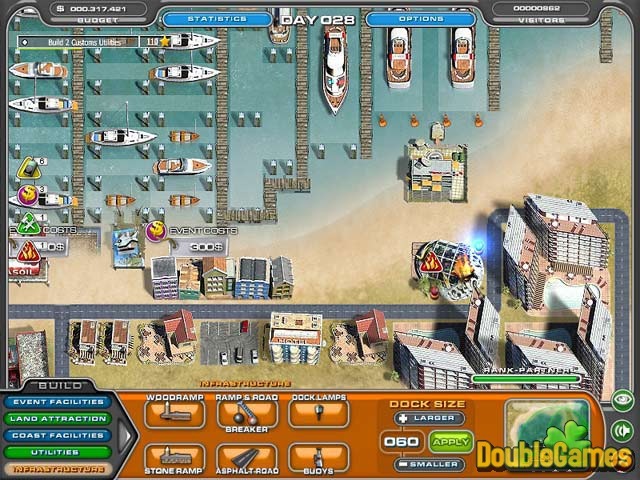 In this sunny game called Youda Marina you should build and then manage your own marina. To attract visitors it must be the most beautiful place you have ever seen. If you are successful enough managing your harbor, people will start spending huge money to use your services. Deal with its everyday problems and spend the revenue you get to modernize your business. Have a good time playing! Title - Youda Marina Game Download for PC and Mac Description - Don't miss Youda Marina, a Time Management game released by YoudaGames. 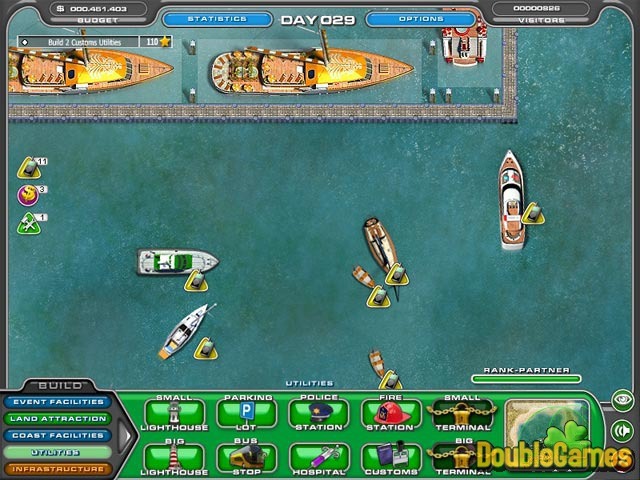 Youda Marina brings together all the fun of landscape design with exciting Time Management action! To achieve the primary goal of making your marina the most popular place in the world, you have to perform dozens of smaller goals like docking yachts, entertaining your visitors and earning money. Money is a very important thing in this game because you always need to expand your business by building new structures. The more facilities you have, the more people you can keep in your marina. And more people means extra money for your business to expand. We can’t say that Youda Marina has a tremendous graphics, but it’s not horrible either. The detalization of the buildings and environment could be better, of course. We liked the music though. It created the tropical island atmosphere of the game. Youda Marina has a very complicated gameplay. You will have to construct five types of buildings. Some of these buildings need to be repaired over time. 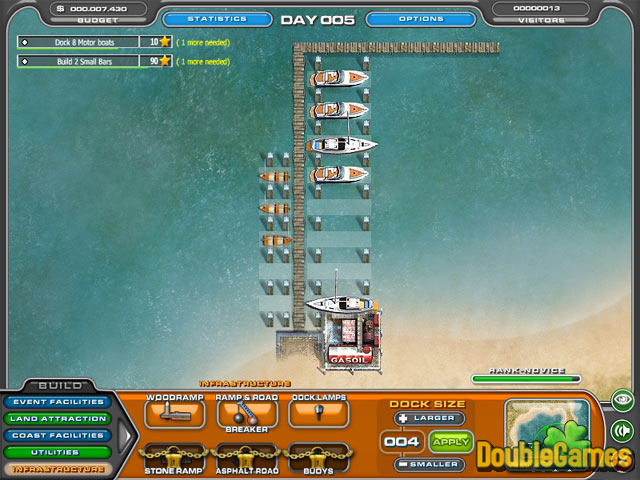 The game has four different maps: shore, bay, island and lagoon. There is also a very functional and comprehensive tutorial which will prepare you for all this tasks. This game will be interesting for pro-players and time management fans. The beginners probably will find it too difficult and as a result boring.